Hey Hey Heyyyy and Happy New Year! I hope your 2016 is off to a great start and that you’re successfully writing the correct date on all of your forms. If so, high five to you! It’s going to take me until at least April to start writing a 6 instead of a 5. As you know, I’ve been off my regular posting schedule to do a little maintenance to the site, and I’m here to tell you that I haven’t actually gotten very far yet. The good new is that I’ve been super busy with lots of new projects, but as a result, the blog has been put on the back burner. In the meantime though, I wanted to give you all a little sum’sum’ to inspire you to eat little healthier for the new year. Because that’s the cool thing to do, right? I often get asked how I stay thin while still eating all the rich, decadent foods I post here on Coley Cooks. I’ve been accused of not eating my own food more times than I can count, and please, for the love of God, stop telling me you “can’t trust a skinny chef.” It’s a stupid phrase and I’m tired of hearing it, not to mention, some of the world’s best chefs are toothpicks. I can assure you that I do, in fact, have my cake and eat it too – lots of it. There is not a drop of ice cream that gets wasted in this house. But I manage to balance it out with plenty of vegetables, lean proteins, exercise and a stupid amount of water (rule number one: DON’T skimp on the water). My basic philosophy about consuming food is to eat things that make you feel good. For me, sometimes that means a big stack of cookies with an ice cold glass of milk (whole cow’s milk for the record). But other times, it means a raw kale salad or a simple piece of grilled fish. These foods make me feel good in different ways, and I’ve learned to trust my body and listen to it when it tells me what it needs. Oh, and I guess the exercise part is pretty important to mention, too. Working out makes me feel good (runner’s high!) and strong, and helps me justify indulging when I feel the need. I’m a big fan of high intensity interval training (like sprints) and pilates because I find they both give me the best bang for my buck (read: time and effort). I also lift weights and hit up a hot yoga class when I can. Variety keeps it fun and challenging. This holiday season was a real banger. I consumed more than my weight in cookies, booze and cheese… and I loved every second of it. But over here on the flip side, it’s left me feeling sluggish, foggy-headed and moody. Not to mention, my pants are all fitting a little tighter than I like – even the leggings. So I’ve jump started my 2016 with a healthy eating regimen that’s really easy to follow, because the food is delicious and it makes me feel energized and light. 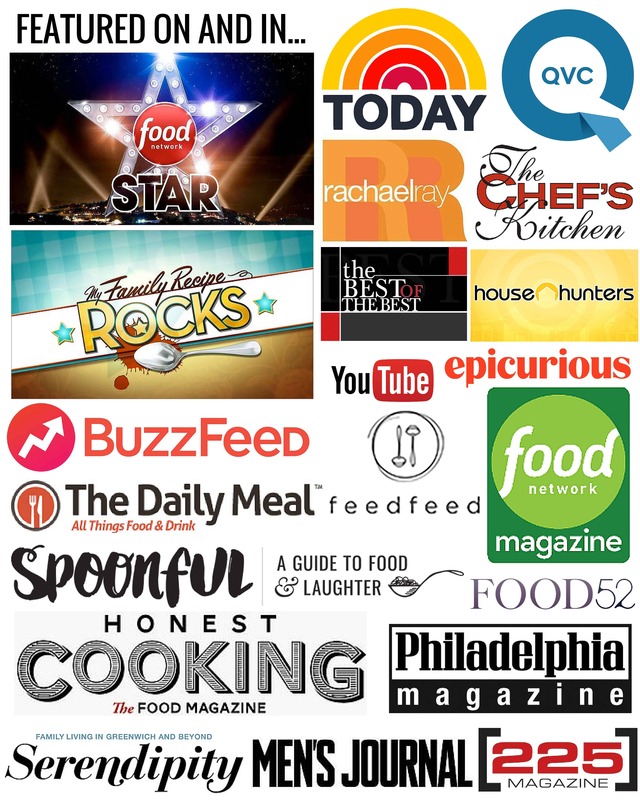 Here are some of my favorite healthy recipes that I’ve posted through the years to inspire your everyday eating routine. One of the first things I do when I need to clean up my diet is to start juicing, and these are my two favorite go-to recipes: Fresh Pressed Juice Two Ways (video!). Greek yogurt is a great way to get lots of protein in the morning without having to cook. Making your own is super easy and will save you lots of money: How to make Greek Yogurt (video!) (don’t forget to save the nutrient dense whey for making smoothies). 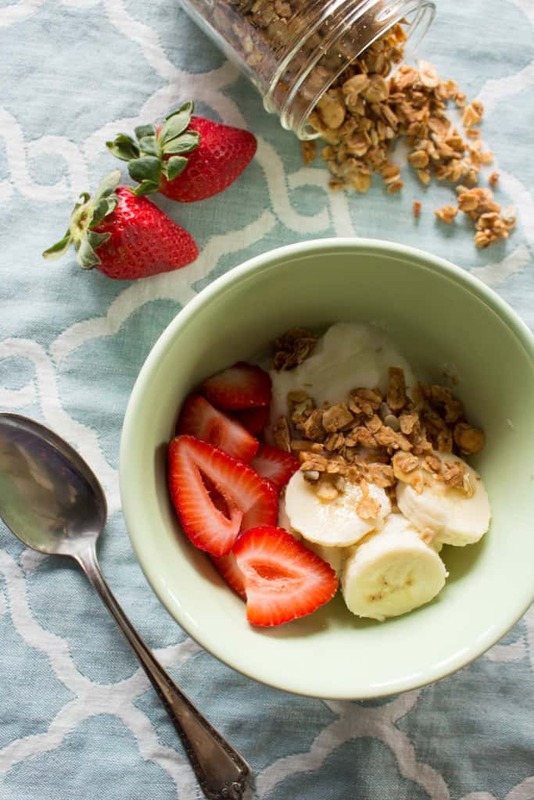 Jazz it up with some fresh fruit and a little bit of this Chai Spiced Granola (video!). This Butternut Squash, Bacon, Kale + Goat Cheese Frittata has become one of my more popular recipes – it’s loaded with hearty winter vegetables, tons of protein and lots of flavor thanks to a little bacon and cheese. Slightly similar in flavor profile is my Sweet Potato + Bacon Hash with Crispy Fried Eggs (Video! ), which has also become rather popular over the last year (and quite possibly the perfect hangover breakfast). Top them both with lots of hot sauce: I just made a big batch of this Green Chile Hot Sauce (video! ), it’s good on just about anything. There was a period of time when I was freakishly obsessed with the custardy French dessert known as clafoutis (cla-foo-tee). I made it so often that I would even eat it for breakfast, and when you look at the ingredients, you’ll see it’s really not all that different from other breakfast foods. It’s also great made ahead and taken on the go: Maple berry Breakfast Clafoutis. This one’s a classic: Cream of Broccoli Soup (video!). Make it without the cream and cheese for an ultra healthy, vegan version. You can also opt to sub a peeled potato for the flour to make it totally gluten free. My Shaved Brussels Sprout Salad with Butternut Squash, Pomegranate + “Fried” Goat Cheese is perfect for winter since all the ingredients are perfectly in season. A great entree salad. Soups are the best during the wintertime because they’re filling, hydrating, warming, and a lot of the time packed with nutrients. My version of Minestrone is loaded with lots of vegetables and beans, plus it leaves out the pasta, because with everything else going on, who needs it? Roasted Grape + Radicchio Salad with Pickled Fennel, Gorgonzola + Walnuts is also full of great winter-friendly ingredients. Something a little fancy and unique to take you out of the winter doldrums. I eat this Summer Kale + Blueberry Salad (Video!) around the clock during the hot summer months when Jersey blueberries are in peak season. But the berries can easily be subbed out for any great winter fruit: pears, apples, citrus, pomegranate or even roasted beets or winter squash. It’s so easy to throw together, and a great make-ahead option to take to work for lunch, since it holds up well even when dressed. 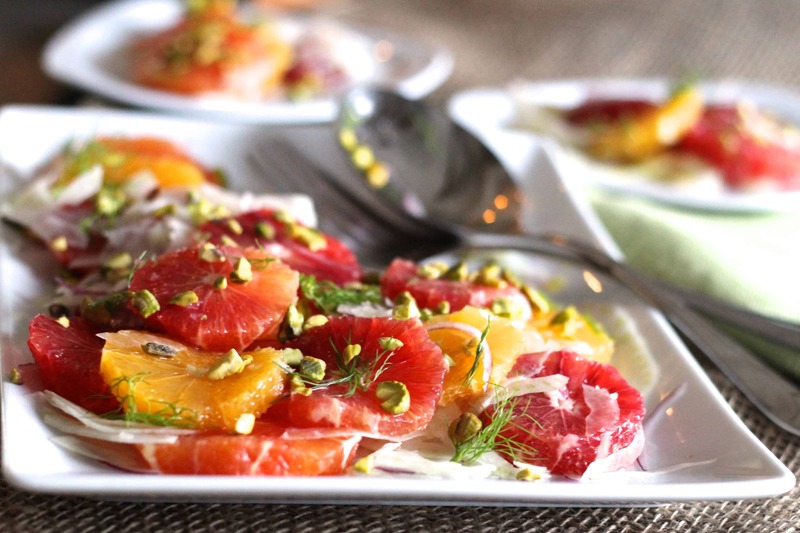 Fennel & Orange Salad with Toasted Pistachios – I love this classic Sicilian salad not only for it’s flavor, but for it’s gorgeous jewel-like colors. Citrus brightens even the coldest winter days! This Beet, Green Bean + Fennel Salad with Blue Cheese + Hazelnuts was one of my very first posts, and a salad I still come back to year after year. Lots of great seasonal winter veggies. I’ve been making different versions of this Detox(ish) Kale Salad for almost a decade now. It’s packed with raw veggies to help clean out your system, but still has enough flavor to make it really easy to eat. For a simple and refreshing side dish, this Thai Cucumber Salad (video!) can’t be beat. I always serve it alongside asian dishes like pad thai and lettuce wraps, and it always gets gobbled right up. The super sweet locally grown asparagus won’t be available for another few months, but my grocery store almost always has some nice looking stalks in stock. This Easy Shaved Asparagus Salad comes together in a flash, and is as interesting as it is tasty. I served these Spanish Gigante Beans as part of a way-too-big Christmas Eve spread this year, and my dad liked these the best… even more than the lobster mac n’ cheese, which is really saying something. A great make-ahead salad (keeps in the fridge for up to a week) or snack. This Spicy Pumpkin Soup with Corn and Crab Relish is totally vegan (if you leave out the crab, of course) since it’s made with coconut milk. It’s an unexpected flavor for a pumpkin soup, and makes a fantastic, even elegant, entree with the addition of crab. I make this Whole Roasted Chicken with Herbs (Video!) probably every other week and use the leftovers in a myriad of different ways. Plus, the bones always get repurposed into stock, which adds slow-cooked depth and body to soups and sauces. It’s also become trendy to drink stock (often referred to as “bone broth”) out of a mug as a health elixir, and I have to say, I’m totally a fan (don’t knock it till ya try it!). Because it’s made with bones, it contains lots of collagen, and as we get older, we could all use a little more of that. I’ve been on a major lettuce wrap kick lately. So much that I’ll most definitely be posting another recipe for a different variation of them soon. But these Thai Beef Lettuce Wraps get the job done nicely (and are great served with the Thai Cucumber Salad on the side). I almost always have a batch of these Kale + Quinoa Cakes (video!) in my freezer. They’re so easy to pop into the toaster oven and eat with your hands on those days when we just can’t find the time to sit down to eat. Yes, there is a good bit of butter and cheese used to make this Parmesan Spinach (video!) taste so delicious. But man, trust me: Make a batch, and you’ll be floored at the amount of spinach you manage to consume in one sitting. 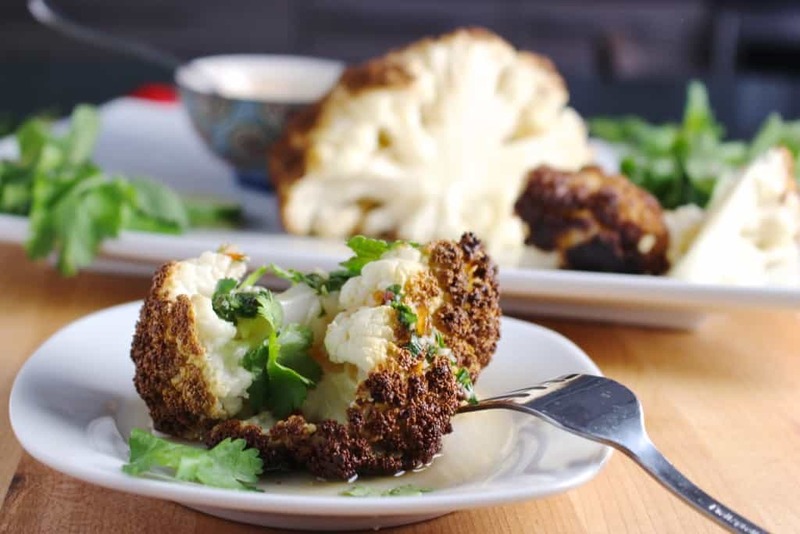 This recipe for Whole Roasted Cauliflower with Fish Sauce Vinaigrette was inspired by the famous Momofuko brussels sprouts. The whole roasted cauliflower is great, but a bit too time consuming for my liking. Try it with quick-cooking roasted cut-up cauliflower instead, or give it a shot with deeply roasted, crispy brussels sprouts, which happens to be my preference. I’ve been eating these so much lately I’m starting to get sick of them, but that sauce is just so dang addictive. It might be a little chilly where you are for grilling, but this recipe works equally as well when the fish is roasted instead: Thai Whole Grilled Snapper + Green Papaya Salad. You can also opt to use any fish fillet of your choice as opposed to a whole fish, which I realize can be difficult for some to find. The sauce is very similar to the one used with the recipe above, and is a great way to brighten up a dull winter day. Now, I know what you’re thinking… A breaded and fried breast of chicken is hardly health food. But when you serve Chicken Milanese with a big, fresh arugula salad, it sure feels healthy. Pro tip: use grape tomatoes in the winter for the best flavor. Wild salmon is currently out of season, but if you can find some frozen, don’t sleep on this Sesame Crusted Bristol Bay Wild Sockeye Salmon. It’s super tasty, and also great made with tuna. Pickled vegetables are the ultimate healthy snack. They’re exciting to the tastebuds, plus they have virtually no fat and very few calories. Follow my tutorial on How to Pickle Anything (Video!) or just go and make these Ginger Pickled Carrots (video!) – they’ll keep in the fridge for months. Speaking of pickles, these Pickled Shrimp are also great to make as a little snack or appetizer to bring to a party where you know there won’t be anything but garbage being served (I’m looking at you, Super Bowl). Packed with protein and flavor, they’re a great addition to salads, or just popping into your mouth straight out of the fridge to help ward off cravings. Both this Authentic Mexican Salsa and Chipotle Guacamole are super healthy on their own, it’s the chips you have to watch out for. Also great condiments for eggs. Oven baked veggie chips are my hot jam. Crunchy, salty and addictive without the guilt. 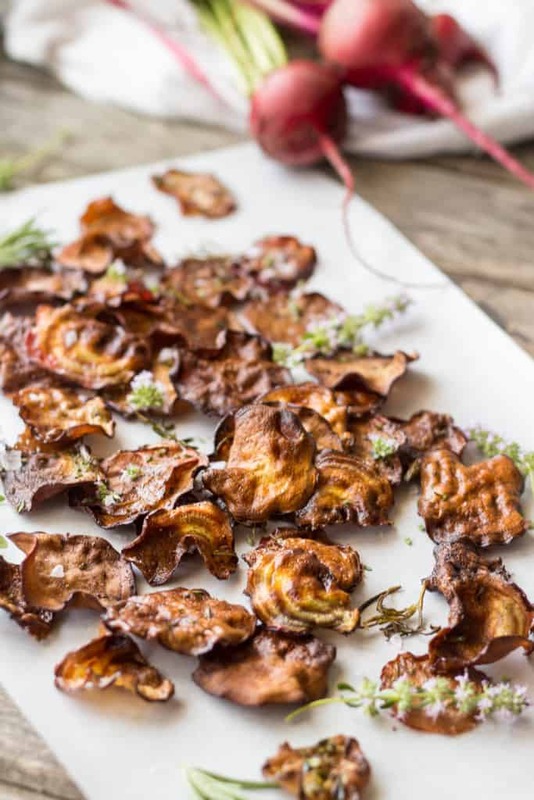 Try these Oven Baked Beet Chips (Video!) and my No Fail Kale Chips (video!). Crispy Chick Peas are another awesome protein and fiber packed, super-addictive salty snack to keep in your back pocket. Use the spices I suggest, or try out your own favorite combination. Nope. No healthy dessert recipes here. Sugar is the one thing I try to cut out as much as possible when I’m trying to eat better. It’s no big secret that it’s absolutely terrible for you, and to me, even “healthy” desserts are still dessert. If you’re craving something, don’t deprive yourself. Just try not to over do it, don’t beat yourself up and jump right back on the wagon. It’s all about balance. What are some of your favorite healthy recipes? I’d love to try them! Leave me a comment and let me know. I’ll be back with more new healthy (and unhealthy) recipes soon. I’m still trying to get us back on track around here, which means drinking less and eating more soup and salad. You’ve got so many recipes I want to try.. Green papaya salad might be the best thing you can eat after overindulging. So good for the belly. Happy 2016, Coley! OMG, recipe overload! Time to make all the things! For those times when I am craving sweets right now, a couple dates and some cashews are hitting the spot. Or a little piece of dark chocolate. Either are rich enough to avoid over-indulging.